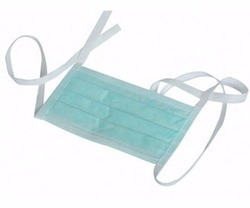 Pioneers in the industry, we offer disposable pant shirt, face mask 2ply / 3 ply, protect leggings, instrument table covers and arm covers from India. 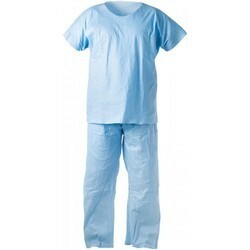 We are dedicatedly engaged in manufacturing a commendable range of Disposable Non Woven Pant Shirt. Our firm specializes in this domain and engaged in offering a comprehensive range of Protect Leggings. 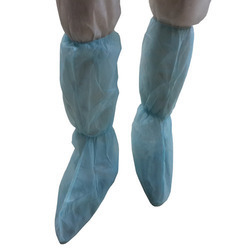 The protect legging offered by us is properly designed at our highly advanced manufacturing unit utilizing resistant polythene film, bagshaped with sealed seams. Offered protect legging is completely checked by quality controllers in order to supply a defect free range at customer’s end. We are the most acknowledged name in this industry, engaged in offering Instrument Table Covers. 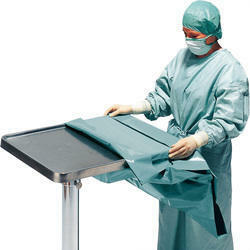 The given table cover is available in varied customized options so as to meet the needs of clientele. Furthermore, the table cover offered by us is checked properly by our quality controllers for supplying defect free range. This table cover is designed from the quality proven basic material and leading techniques under the direction of experts. Made of polythene film with absorbent non-woven top layer; impermeable to moisture and micro-organisms; abrasion - resistant and low linting; the cover is folded in a telescopic tube style to enable easy handling.